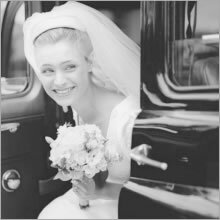 Choosing music at your wedding service doesnt have to be a worrying matter but, like most other decisions you will be making for your wedding day, it does need some thought and a little research. Bear in mind the size and musical facilities of your venue when selecting your music. It is important that you meet and discuss the music with a choirmaster or the churchs organist. This has become an increasingly hot topic among musicians, composers, publishers and writers. Copyright is their only legal means of ensuring that their livelihoods are protected from illegal copying of their work. By buying the music, a choir has the right to perform that music before a non-paying audience (such as you might find at a wedding). Most original musical works are protected by copyright for a minimum period of 70 years after the composer's death, and the publishers will often go to great lengths to enforce this. If you are having an order of service printed, the printers may require you to get permission from the copyright holder before they will reproduce the verses from some hymns. This is the reason why the verses from such hymns are not published on this site. Those that are published here are either out of copyright or are published with the kind permission of the copyright holders. If you wish to reproduce these verses in your order of service, you should contact the person or organisation shown for permission. Always make sure that you inform the priest or vicar about all the plans you are making and be sure that everyone is clear as to what has been agreed. There was one occasion where the bride had asked for the theme from "Robin Hood, Prince of Thieves" to be played as she walked in expecting the Bryan Adams hit "Everything I do". On the day the organist confidently struck up the chords of "Robin Hood, Robin Hood, Riding through the Glen"!